There is hardly any discussion of class that does not in some way relate to the theories of Marx and Weber. So profound was the impact of their ideas, that their writings are often perceived as the only original and most reliable interpretations of class society. But Marx and Weber were neither the first, nor last, to talk about class and they did so based on the specific conditions prevalent in their own communities. 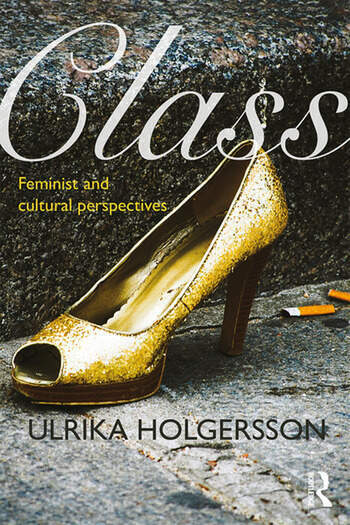 ‘Class’ explains this complex field using cultural, sociological and feminist perspectives. It deepens our understanding of the problems of class and uses illuminating examples from media, popular culture and literature that explain current class analysis. ‘Class’ is an ‘elegant, lucid comprehensive introduction’ that broadens our understanding of the concept and the immense power that it exerts by way of in- and exclusions. 1. Introduction: Class—Why and How? 2.3. Who were Marx and Engels? 3.3. Postmodern critiques from the left or the right? 3.8. Beyond left and right? 4.1. Who were the workers? Ulrika Holgersson is an associate professor of history at the Department of History, Lund University, Sweden. She is a cultural and gender historian, with media and popular culture as specific areas of expertise. Her publications include Popular Culture and Classification. The Discourses of Work, Class, and Gender in Swedish Women’s Magazines at the Beginning of the Twentieth Century (2005) and The Servant Maid and the Feature Film. Stars of the Swedish ’Folkhem’ of the 1930s and 40s (2016).